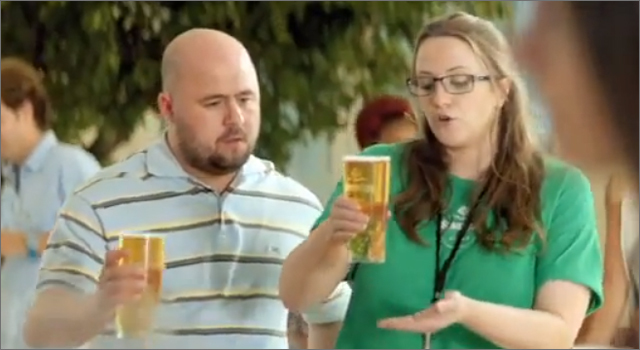 An ad announcing the UK launch of Carlsberg-owned Somersby Cider parodies the craziness that occurs around a typical Apple tech product launch. A line-up of fans are unleashed into ‘The Somersby Store’ where they interact with cider-geniuses, who assist users with such challenges as how to ‘interface’ with the cider, and how to make the product work with normal docking systems. It even works between two people, “One click. Boom, you’re connected” explains one of the store staff to a bewildered couple. ‘The Somersby Store’ was created by London agency Fold7, and directed by Mat Kirkby for RSA Films.